For over a decade, Gazillion Bubbles' premium bubble solution has been formulated to create the biggest and brightest bubbles around. 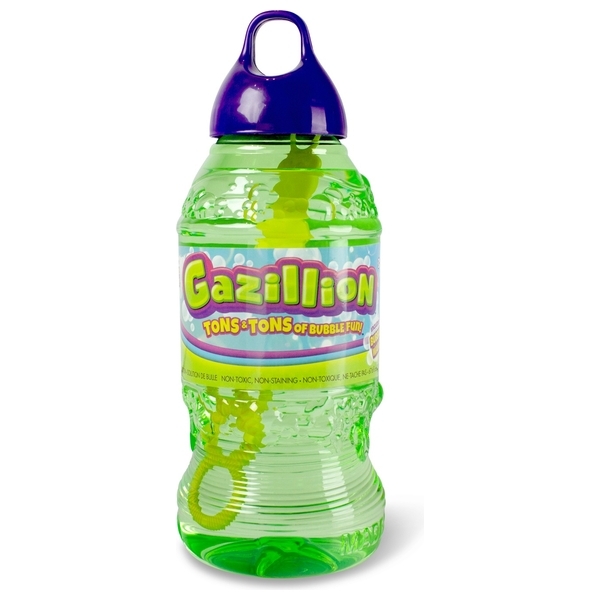 Each 2- liter bottle of Gazillion Bubbles solution comes with a specially designed 9-in-1 bubble wand that easily snaps into the cap. With Gazillion Bubbles and the multi-bubble wand, you'll run out of breath before you run out of bubbles!